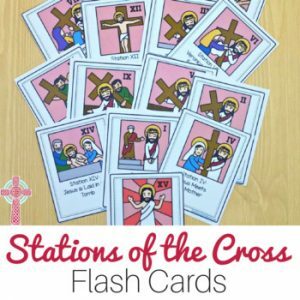 These items found inside a Catholic Church flash cards are perfect for Catholic homeschooling families, Catholic school teachers, religious education teachers, or Catholic co-op leaders. 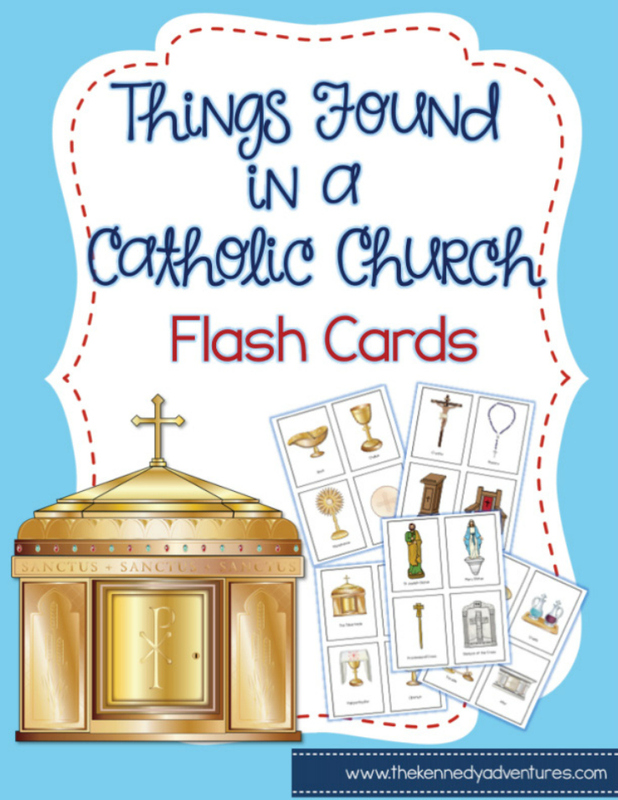 These flash cards are perfect for teaching children about items they will find inside a Catholic Church. Print them out on heavy cardstock, laminate them, and put them on a binder ring for easy storage. To play the game, simply distribute these to your students. Go around the room, taking a look at the card and having discussion with the children. Do they recognize the article? 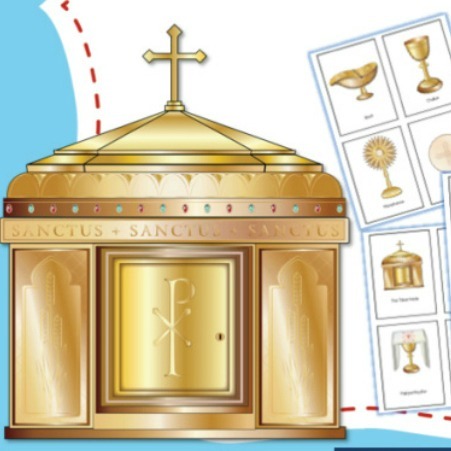 Where is it found in the Church? 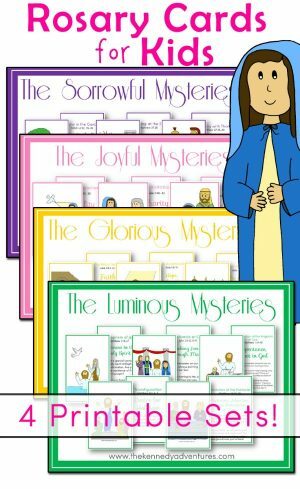 You can also use them for bulletin board displays, like a Catholic Term of the Week. 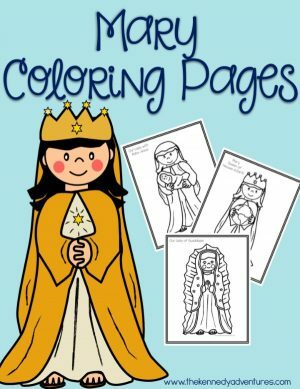 Print two copies and play a fun matching game! 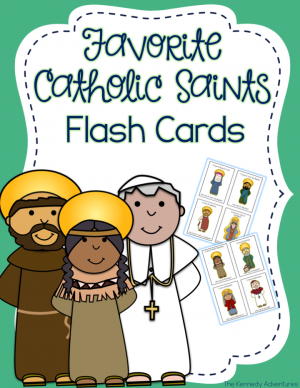 We've used these for scavenger hunts, visiting the Church and looking for the items on the cards. 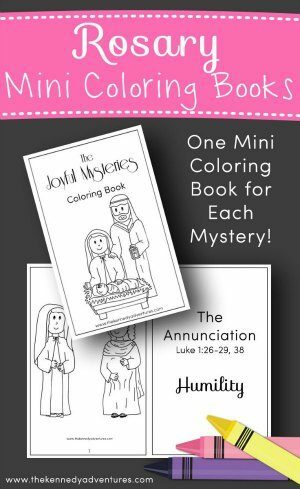 For Catholic families, these are a perfect addition to your Morning Time or religious education activities. 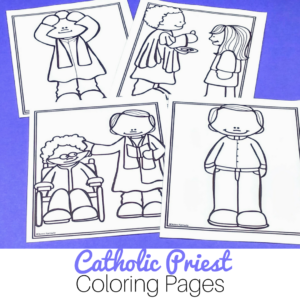 We even slip a set into a diaper bag or purse to keep little hands busy during Mass. 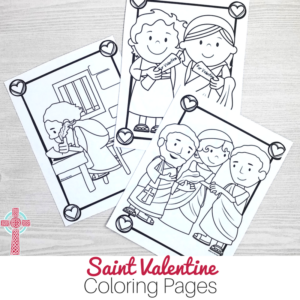 Your whole family will LOVE these!